It’s been an year or so since the mainstream arrival of Pinterest – the social pinning site. Remember the rush to get on board? Everyone was trying to join in and make the most of the new social media big thing. Pinterest has since become a social media staple and though the hype has vanished somewhat, it’s still a popular tool for many. Alongside it, Instagram has also boomed in the last year, moving from 1m users in 2010 to having over 100m today. So, we were just thinking, it’s about time for a new social media darling to break into stride – here are some of the hottest tips for the coming months. We’ve been told that crowd sourcing was going to be bigger than big in 2013 and this app gives it a new twist. The concept of personal crowd sourcing allows indecisive users to crowd source simple questions throughout their day. For instance, can’t decide on a shirt to wear – ask Thumb. Users post the query online and then receive thumbs up or down, as well as comments from their user base within a short space of time, meaning they can outsource their entire decision making process. According to reports, Thumb generates around 4 hours of engagement a month, second only to Facebook. 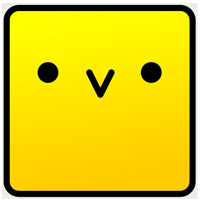 Chirp is certainly one of the coolest of all the new sharing networks out there. Essentially, it makes sharing so much easier. The problem with sharing is that to do so you need to either share via a members only network, such as Facebook or Instagram and so can only share with friends. Or, you need to use Bluetooth and in which case you need to connect to each phone individually. Chirp is different as it allows you to share with other phones within audio range. Users simply choose to share, their phone emits a high pitched noise and other phones within range pick up the sound and receive the image or the message. So, what’s the use? Well, chirps can be shared in an office, in a pub, or can be sent over PA systems to reach large gatherings of people. They can also be embedded in TV adverts, radio programs or on Internet video. This all means that there is significant potential for marketing use. Vine was purchased by Twitter in October 2012, though is standalone from the micro blogging site. The new social media site allows users to do something similar for video, as twitter did for text, in that you can only record 6 second clips. It’s quite an innovative idea and it will be interesting to see whether it takes off. Of course, less time on camera, or in text for that matter, means less fluff – so, we can’t wait and see how successful it is when it goes main stream. It’s currently iOS only with plans for an Android version on the horizon. Time will tell whether these social networks come to the fore or remain niche, underbelly types that stay below the popular radar. Going mobile this year? Get in touch with My Social Agency’s mobile marketing team today!